Do you have hens in your back yard that produce beautiful fresh eggs daily for you? Or would you love to have hens but are worried about them destroying your back yard? Well take a look at this chicken coop which we think is the Penthouse for poultry. 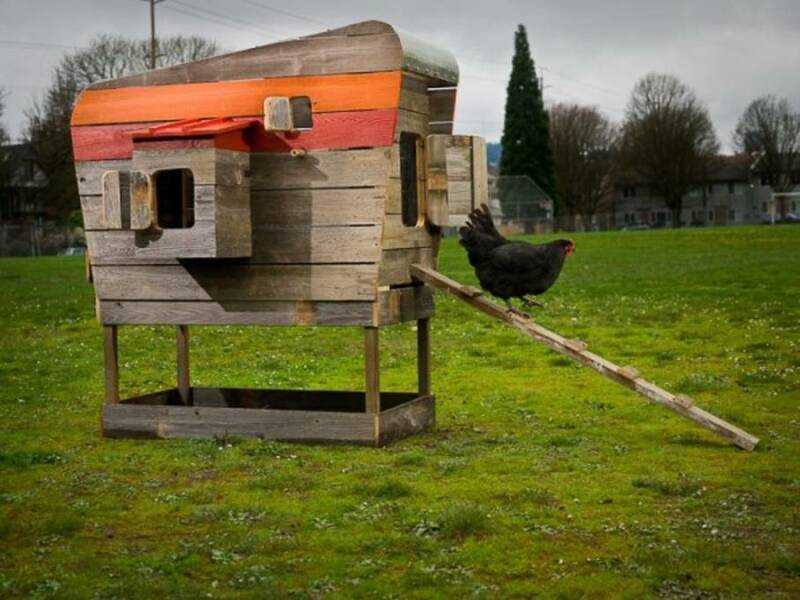 This chicken coop has been designed in the US by the Wright Design Office and has got luxury and practicality covered. Made out of recycled cedar with either a metal or fiberglass roof panel, this clever design includes water supply, a pellet feeder, roosting box and an access door to collect the eggs. There is also a vent and viewing window and comes with a ladder to the coop and a chicken run. The idea is to move the coop around your yard approximately every two weeks to enable your grass to re’cooperate’ and give the chooks fresh ground to scratch. While this coop is only available in the US, if you are clever it might inspire you to create your own design with similar features or are able to have the plans emailed to you at a minimal fee. We’re eggcited!